When will be North Woods Law: Game Warden Files next episode air date? Is North Woods Law: Game Warden Files renewed or cancelled? Where to countdown North Woods Law: Game Warden Files air dates? Is North Woods Law: Game Warden Files worth watching? North Woods Law: Game Warden Files is the 4th spin-off from Animal Planet's franchise "North Woods Law". Getting to know Officer Glen Lucas as he and Matt Holmes race to find an elderly man with dementia missing in the swamp; Officers Adam Cheney and Geoff Pushee run into an aggressive and angry hunter when investigating a road hunting complaint. Getting to know Officer James Benvenuti as he investigates lobster poachers off the coast; Officer Glen Lucas races to the scene of an ATV accident; after a home break-in, Officers Bill Boudreau and Eric Hannett assist police in tracking suspect. Getting to know Officer Bob Mancini as he and Kevin Bronson investigate the circumstances of a suspicious deer kill; conservation officers work with rescue volunteers to recover the body of a missing hiker on Mount Washington. Getting to know Officer Eric Hannett as he and Officer Bill Boudreau chase down a likely deer poacher; Officer Glen Lucas makes a dangerous trek to the summit of Mount Washington to rescue a stranded and injured hiker. 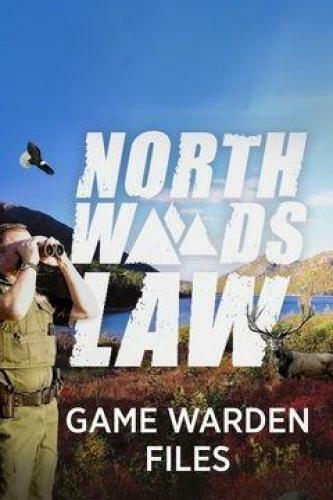 North Woods Law: Game Warden Files next episode air date provides TVMaze for you. EpisoDate.com is your TV show guide to Countdown North Woods Law: Game Warden Files Episode Air Dates and to stay in touch with North Woods Law: Game Warden Files next episode Air Date and your others favorite TV Shows. Add the shows you like to a "Watchlist" and let the site take it from there.